Volunteers have a meaningful impact on our community at The Mountaineers. Whether your interests are in teaching, leading trips, helping at events, supporting stewardship efforts, or serving on a committee that orchestrates such activities, we have opportunities for you to pitch in and make a difference! There are dozens of ways that you can contribute to The Mountaineers. The best way to begin is to tell us about yourself in your Volunteer Profile page. When you update your volunteer interests, it helps our leadership identify what talents you have to contribute and what you'd like to get out of your time as a volunteer. You can also view some specific, upcoming volunteer opportunities on the Volunteers Needed page - or the portlet on the right hand side of this page. Please check back often as we have new listings posted weekly! One great way to start learning about The Mountaineers is to volunteer for one of our events. The Mountaineers hosts film festivals, book launch parties, and speaker series year-round. During these events, volunteers help with things like will call and refreshments, offering you a great, easy way to get involved in a fun, one-off evening activity. To help with an upcoming event, please contact our Events Manager. Looking to get out of town for the weekend? The Mountaineers also has a number of folks who volunteer at one of our three lodges - Baker Lodge, Stevens Lodge, and Meany Lodge - hosting weekends or assisting with other events and programs. Prefer a day at the theater? Consider volunteering to assist with one of the plays offered by our very own Kitsap Forest Theater! Please contact Member Services for more information about any of these opportunities at one of our unique Outdoor Centers! The Mountaineers also hosts a variety of stewardship activities, including work parties to clean up local crags, maintain trails, and prep our outdoor centers for the upcoming season. 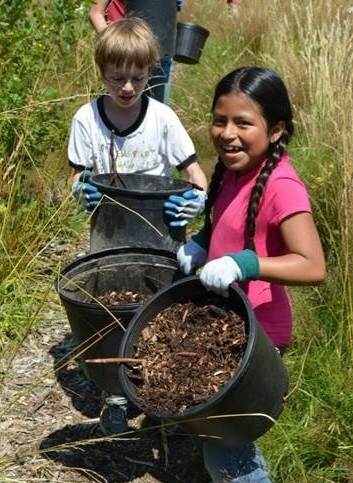 These stewardship activities generally happen on the weekends, spring through fall, and are primarily run by branch volunteers. Please contact Member Services for more information about upcoming stewardship opportunities! This is the backbone of our volunteer culture. Hiking, paddling, rock climbing, mountaineering, skiing, snowshoeing, sailing, photography, natural history... you name it, if it's human-powered recreation outside, we teach it. The Mountaineers relies on skilled and passionate volunteers to pass their love and knowledge of the outdoors on to others. Inspiring others to love and protect the outdoors - and teaching them to do it safely and responsibly - is the heart of our mission and we invite you to be a part of it. To get started, become a member! Next, find an activity that you're excited about and get involved. The majority of The Mountaineers volunteers start as students in one of our courses or as participants in one of our activities. Once you are familiar with our programs, we'll work with you to find a meaningful role that best utilizes your talents and interests! Are you already a participating member? All of our courses and activities are organized and run by committees. To get more involved, contact your activity committee chair person to learn more about the committee's needs, and to learn how to become an instructor or a trip leader. 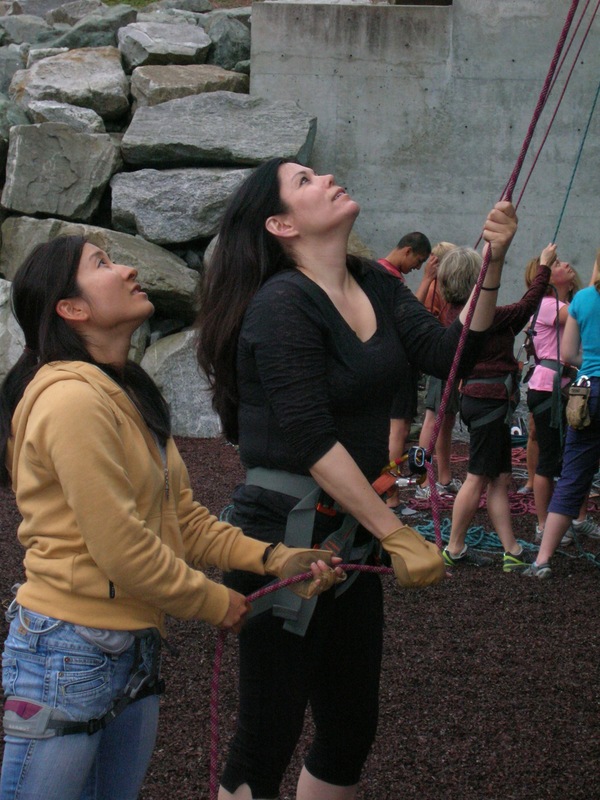 Browse instructor opportunities and find a new way to engage with your outdoor community! Still unsure where to start? Many of our leaders get started by leading day hikes or easy backpacks. If you are interested to lead hikes or backpacks for The Mountaineers, please consider applying to be a hike or backpack leader! If you come to The Mountaineers with previous experience in one of our activities, you may be eligible for equivalency. Please contact Member Services for support with this process! Be a hero for a day, a week, or all year-long! Kids in our youth programs know and admire their instructors, and recognize and appreciate the support these instructors provide as volunteers. Inspired by their instructors, many of our teens begin to volunteer themselves! The Mountaineers cares about providing a safe and fun experience for all parties during our many different Youth Programs. We ask our volunteers to complete our Qualified Youth Leader training prior to volunteering with Youth Programs. Please contact Member Services with any additional questions about this process! Learn more about volunteering with youth at The Mountaineers, and search for upcoming volunteer opportunities! All of our courses and activities are run by committees of volunteers - these volunteers design new courses, evaluate curriculum, and ensure that we are teaching safe practices. The Mountaineers' strategic vision driven by our Board of Directors, with guidance from our Advisory Council. If you have expertise or vision that you'd like to contribute our organization, we welcome your ideas and participation. To inquire about serving on any one of our many committees, please contact the committee's listed contact (noted on each committee's page) or contact Member Services. Every branch and committee has its own traditions, customs, and budget for supporting and recognizing its volunteers. In addition, The Mountaineers offers the following benefits as a thank you to our incredible community of volunteers! Volunteers who donate five or more days of their time in a calendar year have access to our exclusive volunteer group on Experticity. This program provides volunteers with access to discounts from more than 300 brands! For more information about this benefit, please review the instructions for redeeming your member benefits. Volunteer leaders at The Mountaineers also have access to several exclusive Leader Benefits. For more information about these benefits, please review the instructions for redeeming your leader benefits. Leaders and committee members are more closely involved with the governance and support of The Mountaineers. All leaders receive the monthly LeaderLines communication. This mailing provides insight on trends in the outdoor industry, resources to improve your technical and leadership skills, as well as important organizational updates. Leaders and committee members are more frequently involved in our Feedback System - as your involvement in the organization increases, so does your level of input! Leaders and committee members are also given access to Shared Activity Resources, a place where all activity leaders can share information across the organization. The Mountaineers hosts an annual Volunteer Appreciation Dinner during the last Saturday in January. This event an opportunity to connect with friends from across the organization, to learn more about our volunteers' collective accomplishments, and to celebrate our deep culture of volunteerism. During this event, The Mountaineers also recognizes the annual recipients of our organization-wide awards. Each year, all seven of our branches honor one of their members their branch's Service Award. As an organization, The Mountaineers also honors two volunteers with The Mountaineers Leader of the Year award and The Mountaineers Service Award. In addition, The Mountaineers recognizes many of our most committed volunteers with two additional awards. 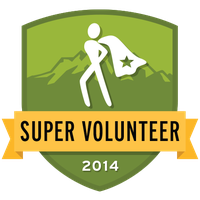 We recognize volunteers who have supported our program during 15+ instances in the previous fiscal year with the Super Volunteer badge on their profile. 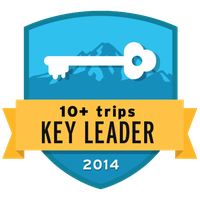 We also recognize volunteers who have led 10+ trips in the previous fiscal year with the Key Leader badge on their profile. Multiply the value of your gift of time through a corporate matching gift! Many employers in the Puget Sound area match their employees' volunteer hours with dollars. Employers who offer volunteer matching typically match at $10-$17 per hour. Volunteers report their hours to their employer, who then donate the matching dollars to the organization with which the employee volunteered. Matching your gift is easy. To find out if your company matches volunteer hours, simply contact your Human Resources Department. Many companies will also have information on their internal website. If your gift of time is eligible for a company match, please specify The Mountaineers: Tax ID 27-3009280 on the gift verification form. This is especially important for companies with online-based donation verification systems, since there may be other organizations or groups with a similar name listed. Please contact Member Services with any additional questions about how to match your hours. MANY MORE! Ask your Human Resources department if your company matches volunteer hours.